Bring Fido! We're Dog-Friendly (Up to 20 lbs.). Find everything you need for an exceptional stay at a destination consistently named among the best places to stay in Vermont. At the Manchester View, we treat you like family and go out of our way to provide everything necessary for a superb travel experience. Start your day with our complimentary Continental breakfast. Unwind with an added in-room massage (advanced request required), let us set up a tee time for your golf game at the Manchester Country Club, or grab a towel and head for our heated, outdoor pool (in the summer). Bring your best furry friend (up to 20 lbs. ); we love dogs ($20 per dog, per night fee). What ever you do, stay at the Manchester View! Our meeting room can accommodate 20 to 30 people with the ability to serve a light catered meal. It is available from 10:00 a.m. to 8:00 p.m. 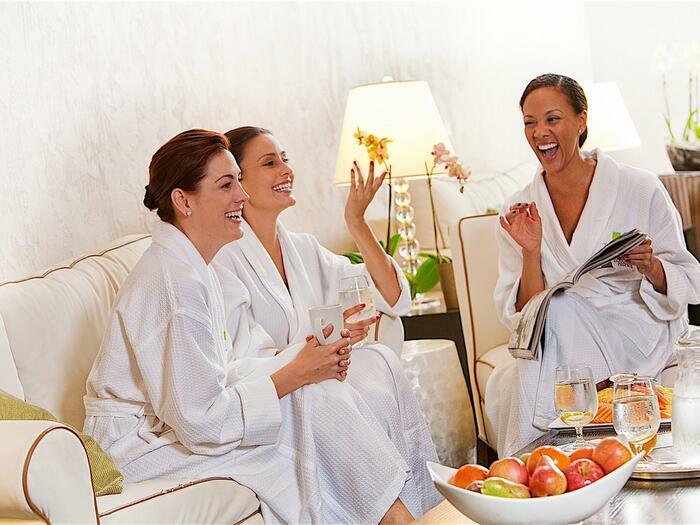 Relax and unwind with a rejuvenating, in-room massage by our professional massage therapist for a luxurious hour ($120, must be booked in advance). In season, our crystal clear pool is heated and surrounded by a large sun deck with beautiful vistas of the mountains. On the weekends we offer breakfast in our breakfast room. The menu changes slightly from season to season, but generally consists of fresh-baked blueberry or apple muffins, bagels and cream cheese, yogurt, whole grain cereal or hot oatmeal with brown sugar, fruit, orange juice, and assorted coffees and teas. During the weekdays, breakfast is offered in our office and consists of muffins and yogurt, as well as juice, coffee and tea. Manchester View guests enjoy access to the Manchester Country Club, located just a quarter mile away. Besides an 18-hole championship par 72 course, a full-service restaurant, fully stocked pro shop and private golf lessons are available. The club also has two clay tennis courts that can be rented by the hour. Arrangements for large groups may be made through us. 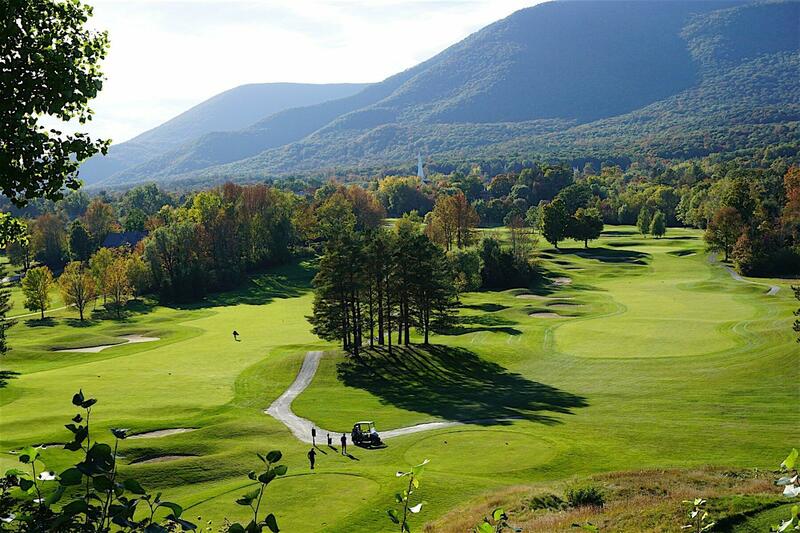 Other fabulous courses in our area are the Golf Club at Equinox, Stratton Mountain Resort, Lake St. Catherine and Tater Hill. With advance notice, we can reserve tee times at the Manchester Country Club. Room #123 is a premium room in our North Building. The sleeping accommodations consist of two Queen beds. The bath has an elevated toilet with grab bars. The sink counter height accommodates a wheelchair and has special faucet levers. Plus, the shower has a shallow curb, a grab bar with seat and a hand-held shower wand. We have an optional ramp for entry when the room is used as a handicapped accommodation as well. Our other option is the Grand Suite, Room #107, with a removable ramp. The sleeping accommodations are one King bed in the bedroom and a Queen-sized pull-out sofa bed in the living room. There is a half bath off the living room that has regular fixtures. The bathroom suite off the bedroom has a walk-in shower with a shallow curb, a hand-held shower wand and a removable shower stool. In addition, the toilet is elevated with grab bars and the sink is wheelchair accessible with special faucet levers. The bathroom suite also offers a two-person spa tub. All of our accommodation doorways are three feet wide. If you require assistance with luggage, this service may be arranged through our front desk in advance. Our breakfast room is also handicapped accessible. Small well-behaved dogs are welcome in selected rooms and suites ONLY with prior approval. There is a $20 per night per pet fee. We want Fido to be happy so you'll find a bowl, courtesy bags and treats for your dog when you arrive in your room. And if Fido's paws get wet, just ask for an extra towel and we'd be more than happy to supply one! For the safety of your pet and for all of our guests, pets must be on a leash at all times while outdoors. Also, for the happiness of your pet and for the benefit of our other guests, pets are not allowed in the rooms unattended. Please do not allow your pet on the bedding. Request extra towels, if needed, for your pet. Additional fees will be assessed for dirty or damaged bedding or furniture and carpeting. Please clean up after your pet both inside the room (spilled food, etc.) and on the grounds (if you need more baggies, please let us know). Any damage will be the responsibility of the person traveling with the pet and additional fees may be assessed if deemed necessary.